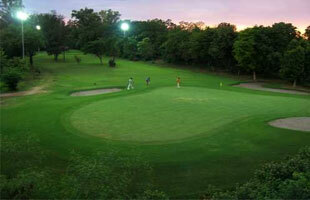 Delhi Chandigarh Golf Tour brings an opportunity to play the suave game in the urban setting of Indian cities. Along side, the golfers also get to witness the historical legacy and modern spirit of these cities through sightseeing. Overall, a worthwhile and enriching journey summing up the essence of golfing in metropolitan India. Upon arrival at Delhi Airport, meet Incredible India tour representative for assisted transfers to the hotel for overnight stay. In the evening, proceed towards Red Fort for the Light and Sound Show Programme, which attractively introduces a visitor to the history of Delhi. Overnight stay. After breakfast, proceed towards Delhi Golf Club, the oldest and traditional golf course in the city. This 18 hole golf course is surrounded by many heritage buildings and tombs that lend it a heritage feel. Due to varied terrain, amateurs as well as professional golfers can enjoy the game here. After spending the day, return to the hotel for rest. Evening is free for optional shopping or relaxation. Overnight stay. After breakfast, begin Delhi sightseeing. Visit Raj Ghat and pay respects to Bapu or Mahatma Gandhi. Next visit Purana Qila. 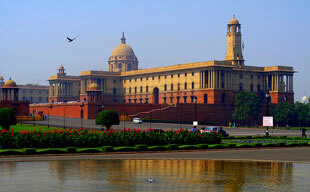 Laced in old world charm, the monumental heritage presents Delhi’s old character authentically. Next experience the contrasting culture of New Delhi by visiting Qutub Minar, Humayun’s Tomb and India Gate. Next in the series of selective heritage experiences in the city, feel privilege of driving past the Rashtrapati Bhavan, The President Palace and Sansad Bhawan, the Parliament of India. Return to the hotel after experience for overnight stay. Chandigarh is the first planned city of India and defines the metropolitan standards of the country in the most promising manner. The joint capital of Punjab and Haryana, Chandigarh represents an epitome of urban planning and architecture. On arrival, check in the hotel. After some time of leisure, visit the Rock Gardens of Chandigarh. This is a contemporary garden created from the urban waste and presents the most artistic interpretation of creativity. Return to hotel for overnight stay. The day is dedicated to Golf in Chandigarh, the passion of every golfer. The 7,063-yard, 18 holes, par-72 course here is known for its challenging narrow fairways and has produced some fine professional Indian golfers like Jeev Milkha Singh. Chandigarh Golf Course is his home ground where he practiced his skill of game and eventually became the first Indian to compete on the European Tour. One of the premium golf courses in India, Chandigarh Golf Club also offers a premium scenic relief thanks to its setting. Located at the south of Lake Sukhna and dotted by thick eucalyptus, mango, and jamun trees, the golfing greens also boast one of the longest par-5s in India, the seventh hole, which measures 613 yards. After spending the day in the crisp and fresh surroundings of Chandigarh, return to the hotel for overnight stay. Check out Chandigarh for a drive to Delhi. Upon arrival, check in the hotel for overnight stay. Breakfast at hotel. Full day at leisure for own activities. Later on time transfer to International airport to board flight for onward destination.